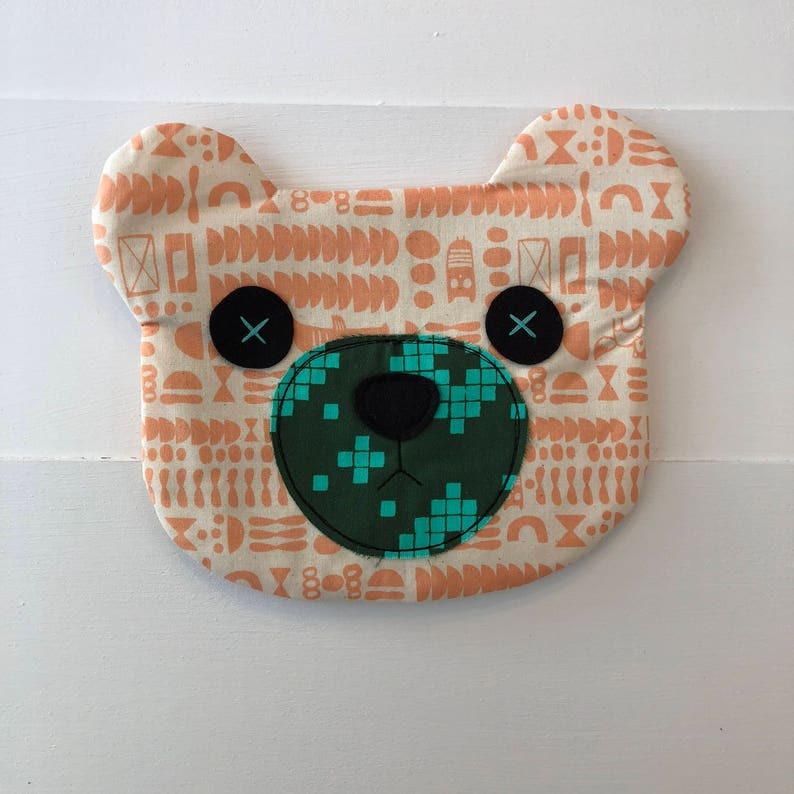 >>> A Bear shaped pouch is perfect for storing essentials in your bag or diaper bag, or a quick grab and go busy pouch for kids. 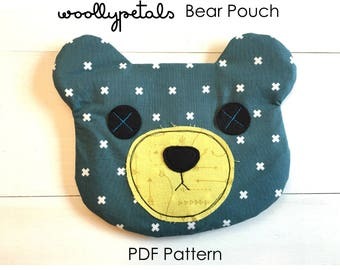 >>> This Bear Pouch is the perfect shape with a flat white and gold metal zippered closure on the back. The natural and peach shapes fabric is accented perfectly with a army green and aqua Aztec print muzzle fabric detail. It is lined in a tan and aqua windowpane fabric print. >>> The Facial details are all machine stitched down for extra durability. While the eyes are hand stitched with a thicker thread for extra detail. 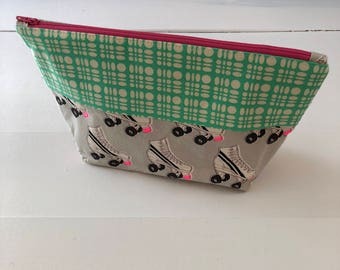 The main construction is all machine sewn and is very sturdy. 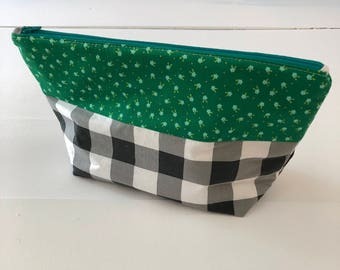 >>> The Pouch measures 9"Wide x 7.5"Tall and the interior pocket is 5" deep. 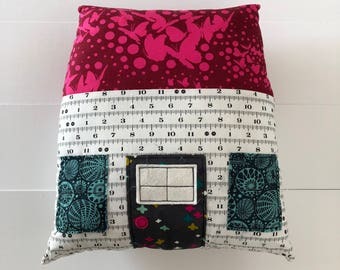 All fabrics are 100% cotton, or wool felt. 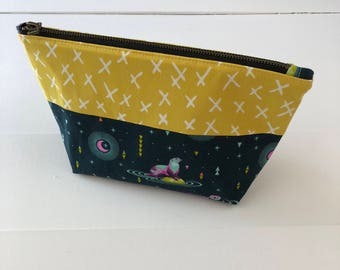 >>> This listing is for one bear pouch as shown in pictures. 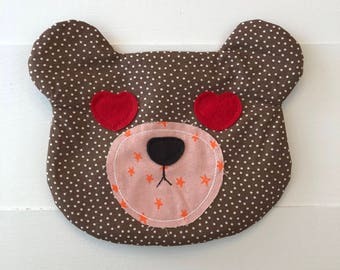 >>> Care Instructions: Your bear pouch can be spot cleaned with a mild detergent and ironed when needed.